The big goal really is to free up time to do more of the stuff we love: cooking, hillwalking, going on adventures, and all of that. Moreover, we someday would like to have a house together in the countryside where we can have a smallholding, do a bit of Airbnb, run a campsite, and have an outdoor teaching kitchen, and a venue for Ugly Chapatti pop-ups. We’d also like to write about all of this stuff to inspire other people out there to get closer to nature and have a go at building a life, or at least one or two habits, that are a bit different from the 9-to-5. Let’s face it, the things we love doing aren’t exactly huge money spinners. So we need to create a bit of passive income to allow us the funds to pursue our dreams. Affiliate Marketing – We’re already an affiliate for a few brands we both love, including Froothie, MyProtein, and Go Outdoors, but we’re looking to expand on this theme. Sponsored Posts – We are going to minimise these because we both feel it will detract from the authenticity of the blog and our writing. But in these initial stages we’ll take on some sponsored posts just to get the ball rolling and keep momentum up. But as always, the focus will be on maintaining authenticity, and only working with the kinds of brands whose products we’d actually spend our own money on. 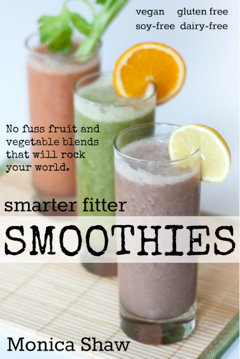 eBook sales – SmarterFitter Smoothies and more! We’re sure that our ideas will evolve as we learn more about all of these things, but exciting times ahead! Watch this space!